Just as endless are the training plans! As I began my second trip down this road, running through the summer and preparing for the “big ones” coming up on my calendar, I wanted to be better informed and better prepared than last year. I spent weeks reading books, blogs, and magazine articles; plans, programs, and promises galore clamored for my attention, each one saying, “Try me! Follow me! I will get you to the finish line, better/stronger/faster than anyone else!” Mostly, I came away with information overload…if too many cooks spoil the broth, then too many coaches cramp the trainee. I have decided to stick with what I was doing at the end of last season, while making a few (characteristic) personal tweaks that I feel are necessary to cover my somewhat schizophrenic conflicting varied goals this year. So far, three days into week one, all is looking well! One thing I like is that I can made modifications as needed, because LIFE, without wrecking the whole thing…that was one of my previous failures – getting confused about the difference between disciplined and rigid, and feeling like missing one particular day – or even a few of them – meant that I was ruining everything; if our lives never meant having to adapt, how boring would that be? So what do you think? Remember, I am not any kind of professional, or coach, or trainer, or expert…I am just one runner who is trying to apply what has worked for me in the past – and remembering what hasn’t worked – and going from there. What I am doing may not be right for anyone else (heck it might not even be right for me!) 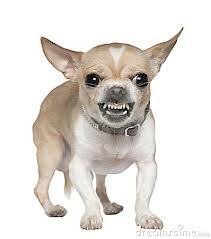 but this is what I am working with, and we shall see how it goes! I will keep you all updated on my progress through this phase, as well as the occasional race report or random collection of thoughts; and before this segment is done I will be posting the next five-week section, Building the Speed…stay tuned! Do you follow a traditional plan, or build your own? Ever trained for more than one race at a time? Sunday 1-5: Rest day – walked 1 mile, 15:47 As I said last week, the early stages of illness were upon me – I had a restless night, waking at midnight drenched in sweat. A quick shower refreshed me some, and I was able to sleep a few good hours, but when morning came I began revising my schedule for the day. I still had errands to run, and chores to attend, but doing any serious running had to be crossed off the list. By noon I was home, and worn out, and still had not done a workout. I napped briefly, waking up to a body stiff and creaky and not at all interested in exercise. I drove myself out the door with the idea that moving the blood around would help purge the toxins and stretch out the stiffness; I set a brisk walking pace and got my mile done…but it cost me: I was badly out of breath and lightheaded by the time I got home…not a good sign of things to come. Monday 1-6: Rest day – walked 1 mile, 15:25 Back to work, despite feeling like something the dog ate and then heaved back up – in my new role, I do not actually DO much work, I manage others; this makes it possible for me to be there when I am not at my best, and still get things done, and today I was grateful for that. It was a day filled with walking, touring the entire jobsite and detailing what has been done and what needs to be done, in order to give a status update to my superiors. I don’t count what I do at work as part of my training, but maybe I should…we are roughing in the lower eight floors of a 21-story high rise apartment complex, while the structure of the tower is being completed; I walked at least 10 miles today, up and down stairs and around every floor! I really didn’t feel like going out and doing anything else after I got home, but the idea of breaking my streak made me so angry that I went and “power-walked” a mile just to get it done…but anger is very expensive fuel to burn, and I was wiped out afterwards; I passed out without even eating dinner – now you KNOW I was feeling sick! Tuesday 1-7: Rest day – no activity Another day much as before, except I was already running 102 fever by the time I got home, and didn’t even kid myself – the #ncrstreak was broken, and I simply went to bed – I might be slow, but I know when I’m beaten. Wednesday 1-8: Rest day – no activity Rinse and repeat from yesterday. A smarter man would have stayed home from work to get rested and healthy again; I am not that man, I guess. My supervisor was expecting my status report on the job today; he didn’t tell me that he also expected me to deliver that report at the office to the project manager, the production manager, the department manager, and the vice-president! I wish he had – I probably would not have taken those NyQuil Liqi-gels right before we went to the meeting 😦 Oh well, I finally made it home, and fell into bed…going out to walk or run never even crossed my drug-addled mind. Thursday 1-9: Rest day – no activity This was probably the worst day of the whole week. I woke up feeling pretty good, and hoped I had turned the corner, and might actually feel like running at Bandera on Saturday. (I had gotten though the whole week by holding this carrot in front of my face: “Just make it to Friday, you can rest on the way to the race!”) But as the day wore on, my energy level dropped, the body aches returned full-force, and my focus dwindled to just getting home. My body hurt worse than after any training run, ever. Small wonder – when I took my temperature, I was running 103.9! I was very glad I had scheduled the next day off from work – I only hoped I wouldn’t be spending it in the hospital instead. Saturday 1-11: Rest day – no activity Today was supposed to be a great day for me – my first ever 25K trail race…instead, it’s my second DNS…not the accomplishment I was hoping for. Instead, I am spending the day resting, alternating between reading and sitting at my computer, because I just don’t have the energy to do much else. The fever is gone, but the stuffy head and nagging cough are still with me; I may go out later and walk a bit to relieve the stiffness and the blah – the weather has cleared up wonderfully, it’s sunny and in the low 70’s today (you gotta love the Gulf Coast weather!) so at least it will be pleasant to be outdoors. I will be checking the results page from Bandera later on, to see how my friends’ racing went; it’s too early yet, as they are doing 100K and should only be at the second checkpoint as I am writing this – how I wish I was there! But I’ll get another chance in April, or perhaps sooner, if things turn out well…first I have to make it through today! I can only hope that a weekend of real rest will make the difference, and I can shake off being sick and get a couple of runs in this week. 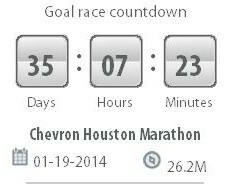 I will pick up my Houston Marathon Ambassador gear on Sunday – shoes, shirt, etc. all supplied by Skechers Performance, a new corporate sponsor of the race, and I would like a chance to break it in a little before running the 5K next Saturday. Only time will tell how it goes, I suppose. 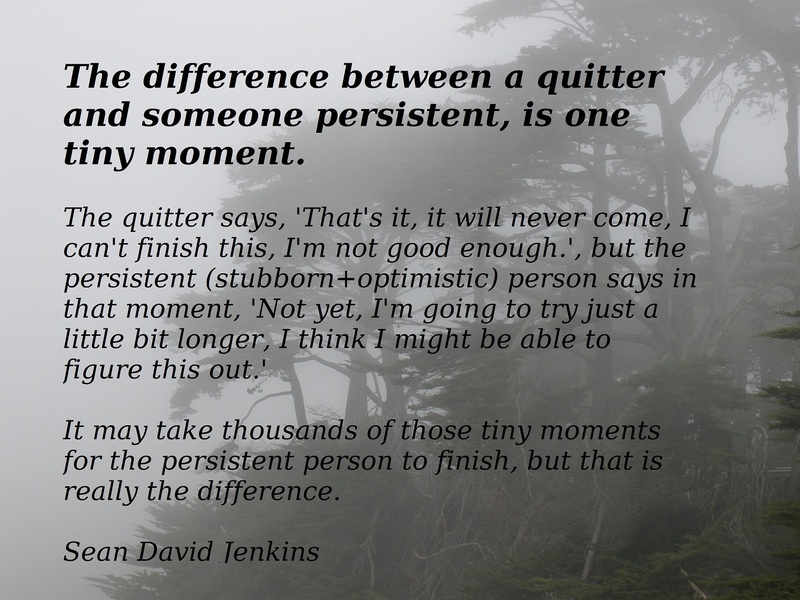 Maybe this is why events have happened the way they have; I have already become comfortable with revising my goals for these two races, from setting PR’s to simply finishing; I can’t imagine how devastated I would be if I had to come to that decision point today instead of 6 weeks ago. God has all things in His sight, and knows the end from the beginning; we just have to trust that He really is in control, and make the choices we believe serve Him best, even when we don’t understand it all…one of my favorite verses of Scripture is Isaiah 55:8-9, because I feel it lets me off the hook: I’m not supposed to understand it all, it’s not even possible to do so, so why worry about it? I have more than enough to deal with right here in front of me as it is! One other note: I met this week with someone from Living Water, and we talked about my fundraising plan. He was enthusiastic about it, and agreed to assist me in promoting my efforts, and also promised to send me more information and contacts to help me along. I also received permission to use their logo on my blog; clicking on it will take you directly to my donation page. I have condensed the story somewhat and created a permanent page for it; please check it out and feel free to share the link with others you believe would be interested in helping, because everyone has the power to make a difference! Last week I received my first direct donation, and I must admit: when the notification came in, it brought tears to my eyes – knowing that my words produced a positive response, touched someone and prompted them to give…that makes everything worthwhile! Have you ever help raise funds or awareness for a charity? What advice could you share about your experience? CHM Training update: T-2 weeks – Who fortnight-ed? 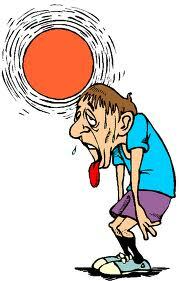 Sunday 12-29: Long run – 3:58:00, 21.2 miles O-M-G!!! This run made me truly appreciate the value of having a running buddy when things get tough. The Striders set this up as the Longest Long Run before the marathon, with support riders on bikes, and an unbelievable aid station, complete with homemade chicken noodle soup – I have never in my life been so grateful for a bowl of hot broth! The course was set up as two loops of 10.5 miles around and through one of the large county parks on the city’s west side. Some people chose to run only a single loop – either those not running Chevron this year, or running the half instead of the full – and I came very near to being one of them. I run significantly slower than almost everyone else in the club, so I did the first 10 miles essentially by myself, at the very end of the pack. I saw others, because we ran a couple of out-and-back sections and circular park roads, so I received plenty of encouragement along the way, but I ran alone…with only my own thoughts to keep me company; since I train like this 99% of the time, I’m used to it, and I expected nothing different. My surprise and relief came at the halfway point, as I was sipping soup and trying to convince myself to go do the other half, which was becoming a losing argument. (This is why my long runs are normally out-and-back, because giving up won’t get you home – I know who I’m dealing with here!) Right about then Rosemary (a wonderful woman from St. Lucia with the most musical accent I have ever heard) looked at me and said, “Aren’t you going back out? You have to, because I have to and I can’t do it alone!” So that decided the issue for me – very few things will motivate me more than someone saying they need my help. 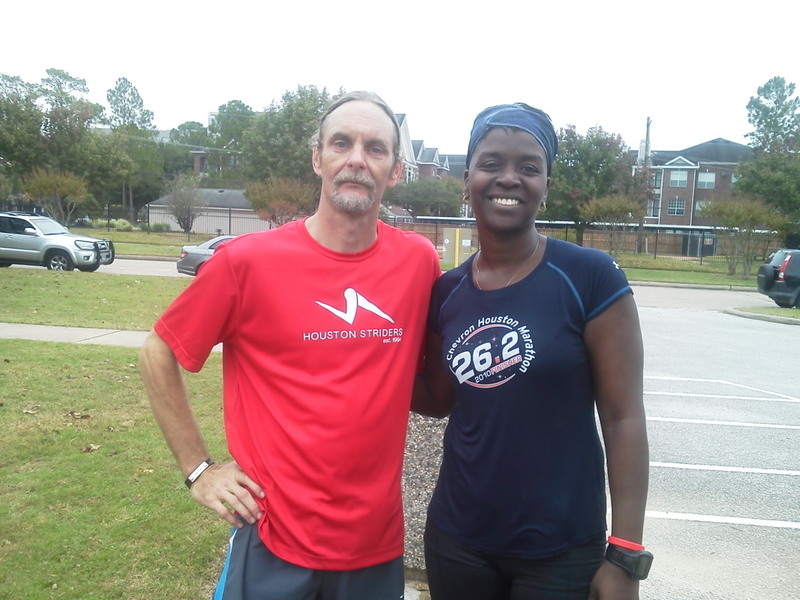 I warned her that I was going to need to run much slower than she normally did (her pace is about 2 minutes per mile faster than mine) and she said that was fine – she was tired and just wanted to get the miles done; if it meant walk-run intervals, and shuffling along, so be it…and with that we were off! We held a nice, steady 10:30/mile for the first 5 miles, chatting and getting to know each other, and the miles passed quickly! When we reached 16 miles, with 5 to go, her back began to ache (she had not run at all in nearly a week, and she was feeling it) so we began to walk 1 minute intervals with some stretching breaks – I was grateful for those, as well! The final 2 miles were really hard for both of us – her back had been joined by my ankles in the crying corner – so naturally we decided to push a little harder and get it done: 20 second sprints with 2 minute recovery! We were quite the pair “sprinting” our way back to the finish line – but we got a standing ovation and a roaring cheer from everyone waiting for us; we were the last two in and nearly everyone stayed until we made it – what a great group! And we beat the self-imposed 4-hour mark we decided on when we set off together… added zest to an epic run! Here we are before the start – I’m nearly invisible at the back! Monday 12-30: Recovery/rest – walked 1.01 mile, 17:31 At some point I really need to shift my long runs to Saturdays; having to go back to work and be on my feet all day kind of makes the “rest day” a moot point; in any case, I just went out to walk my streak mile and try to limber up the joints a bit. 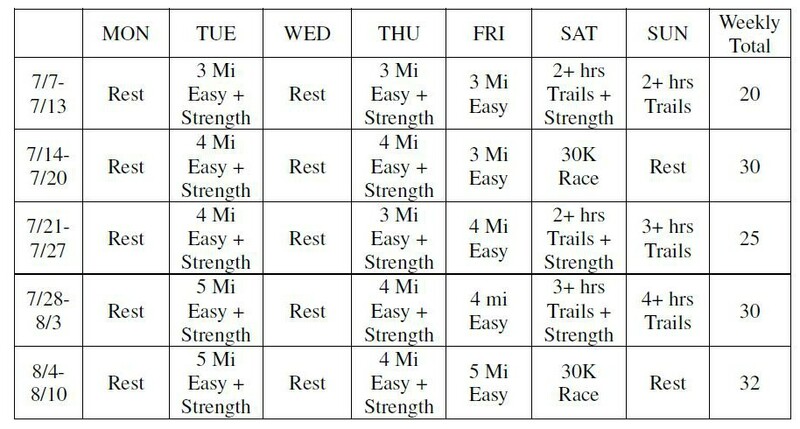 It bothers me that my running is not limited by my endurance level or aerobic capacity, but instead by my pain threshold – I can run faster than I currently do, but only at an exponential cost of pain in my knees and ankles…if I do a 5K at sub-25 pace, I can barely walk afterwards; but drop into turtle gear, and I can keep going 10 times as far before it gets bad; I could walk a 100-miler non-stop, if I didn’t mind taking 25-30 hours to do it 😦 I guess I am never destined to be a speedy runner again, but I’m sure determined to finish everything I start; if I have to choose, I choose to endure! Tuesday 12-31: Maintenance run – 5 miles, 52:01 It took some determination to make myself do the 3rd and 4th miles – after 2, my legs were ready to go home, in spite of what my mind said! But I pushed ahead, and eventually they gave up complaining and got with the program, and the last mile home felt smooth as glass. Wednesday 1-1: Resolution run – 3.1 miles, 31:17 Happy New Year! I had intended to meet the Striders running club for a group run, but when you polish off half a bottle of really smooth vodka the night before, plans will get get changed, right? So I did my own personal 5K to celebrate one full year of running, and look ahead to an even more exciting year to come. This run also completed the Runner’s World Holiday-to-Holiday Run Streak in style – 35 straight days, 180 miles in all! Thursday 1-2: Resistance run, 5 miles, 53:50 I am enjoying these runs in the grass more and more – it’s such a nice change from pounding the pavement, and engages more muscles as I adjust to the constantly changing footing. The going gets tougher each week as the grass gets higher, so I get “free” progressive resistance in the bargain – what a deal! This workout, along with my overpass repeats, will be some of the secrets to my success in the future – and a sure way to prevent getting bored, as well. Friday 1-3: Maintenance run – 3.1 miles, 33:12 It was nearly full dark by the time I got on the road, but after getting a “promotion” at work (my supervisor quit, and so the 2nd man and myself both moved up a notch; no extra pay, just more and different responsibility) I really needed to put the body in motion and let the mind spin free for a while…running is great free therapy! Saturday 1-4: Rest day – walked 1 mile, 15:09 I wanted to go run some trails today; I wanted to get in a good practice before next week’s race at Bandera; I didn’t want to catch the cold/flu/whatever bug that everyone else in the house is down with…guess which one came true? So I walked a mile to keep my streak going, and now I’m bundled up, channeling a cold-medicine commercial – sniffling/sneezing/coughing/aching/stuffy head/fever – and hoping I feel better tomorrow; just in time for the bottom to fall out of the weather again…at least I don’t live in the northern third of the country, which is now unsuitable for human life as we normally define it! 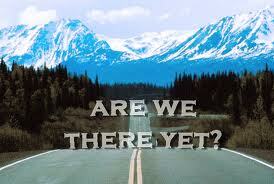 How well did 2013 meet your expectations? Are you on track to start a new year off right? In all honesty, I’m not much of a gambler…I like to think I know what I’m doing, but it seems that I usually end up sitting across from someone who REALLY knows his or her stuff, and I go home a little poorer than I arrived; over the years I have learned not to bet more than I can afford to lose, which makes the game much more enjoyable! Running is kind of like that, I think…there is a certain element of risk involved, which no amount of skill can ever completely eliminate; and you have to put something out there if you want any chance of receiving a reward – “nothing ventured, nothing gained” is absolutely true! Sunday 12-22: Long run – 3:24:53, 18.01 miles Better than last week, my new longest run to date! I had thought about doing this week’s long run on the trails, but opted instead to stick with a winning plan and repeated my route from last Sunday, with the addition of one lap around the running loop at Memorial Park to give me the necessary extra mileage. I also tried a new fuel option: 2 Tbsp chia seeds mixed with 6 oz applesauce and a dash of cinnamon for flavor; this was well tolerated and seemed to keep my energy level constant, as I consumed about a mouthful every 4 miles. Much like last week, all went smoothly until the final stretch – somehow the last two miles feel much longer than any others! Wednesday 12-25: Walked 1 mile, 16:28 Merry Christmas! I hope Santa did better by you than he did me; I woke up to low fever, body aches and a congested head – some “gift”! I spent nearly the entire day in bed, except for a brief visit to watch my grandsons open their presents…and to get out a walk a mile to keep my streak alive; dedication requires dedication, y’know? 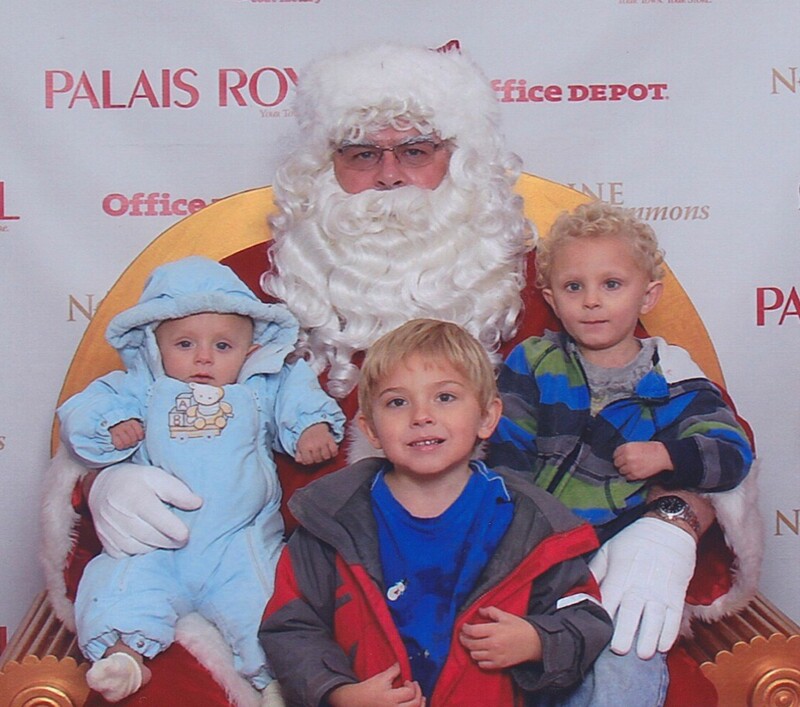 Look at those faces – sick or not, how could I resist? Thursday 12-26: Resistance run, 8.9 miles, 1:35:11 Back in the grass today; the fever broke, my body felt stiff and under-used, and I knew JUST the cure! 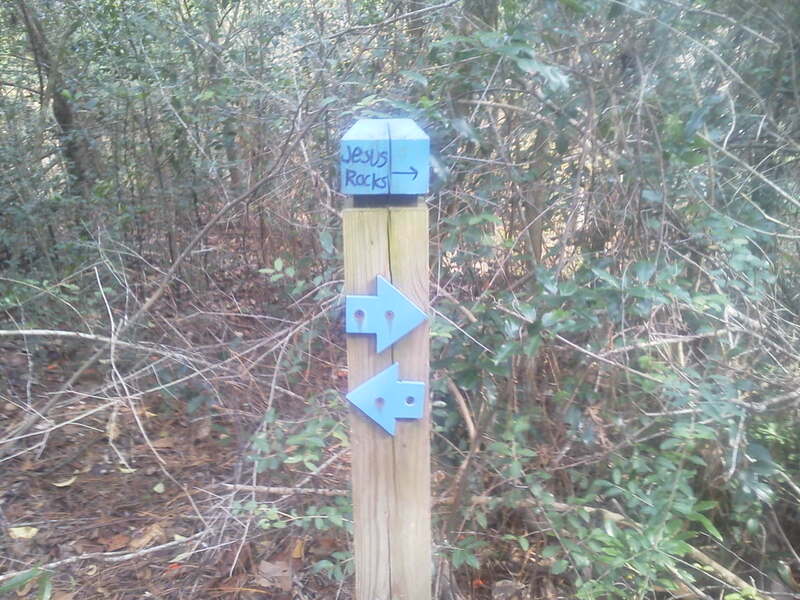 I also found a way across a small bayou that cuts off one end of this trail, and I was able to add more than a mile to the one-way distance – sweet! 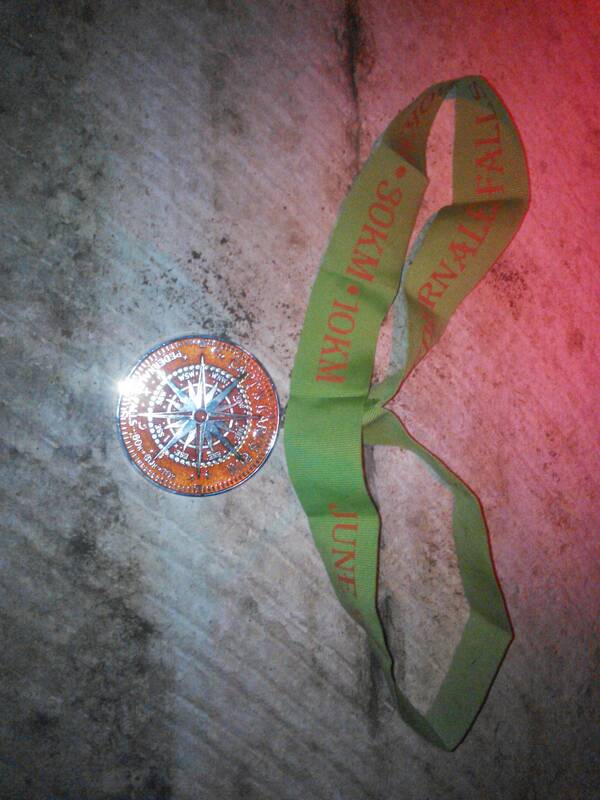 I didn’t try to push the pace, I simply wanted to run for about 90 minutes; mission accomplished!! Friday 12-27: Maintenance run – 5.1 miles, 50:50 Nothing fancy today, I wanted some miles, I got some miles; decent pace, consistent from start to finish, no pain – what else can you ask? Saturday 12-28: Recovery/rest – 1.03 mile, 10:46 I spent most of the day visiting my dad, and running errands, so it didn’t leave me much time to run; I also wanted to save something for tomorrow’s 21-miler, my longest long run of the training cycle…or ever, for that matter! On other news, things are shaping up nicely for my 14 in 2014 and Half-Fanatic goals! Along with the marathon, and the 5K the day before, I now have a third race confirmed – the Bandera Trail Run, where I am running the 25K. 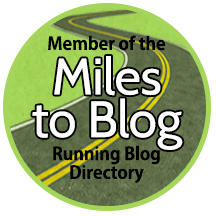 This will be my first “real” trail race, and my first foray into the world of ultras – most of the others in my club are running the 100K, but that is a stake I cannot support…yet! This race takes place one week before Chevron, so I am planning to take it easy, and treat it as a taper run – shorter distance, but high intensity, with plenty of time to rest before I have to turn my cards at the Big Table. What is the craziest thing you ever did just before a marathon, or other goal race? 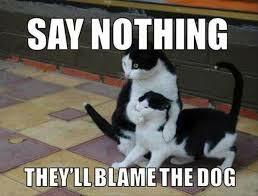 Any regrets, or would you do it again? Any gamblers out there? 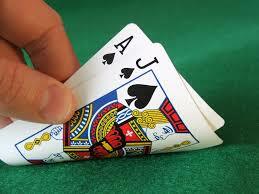 What’s the biggest bet you ever won…or lost? Sunday 12-15: Long run – 2:49:26, 15.02 miles My longest run to date, both in distance and duration! I approached this with some anxiety, because I attempted this run 6 weeks ago, just after completing the Houston Half Marathon, and it broke me then…but not this time! Everything was different: new shoes (with less than 100 miles vs. over 600); new route (out-and-back on the bike trails along two of Houston’s larger bayous vs. laps on the Memorial Park running loop); different weather (cool and clear vs. hot and muggy); running without music; running without a specific pace goal – amazing what learning and adapting can do for you, isn’t it? I felt strong and confident the whole way: enjoying the sights and sounds, people-watching (discretely, but I do it 🙂 ) and generally just having a great time while running. I did not need to walk any of this distance, but I did anyway…mostly the last half-mile or so, because I had made it back to where I parked my truck, but wasn’t quite at the full distance, so I circled the parking lot a few times as a cool-down, and to let my legs adjust back to not-running…which affected my overall pace; my splits hovered around my “acceptable” target of 10:00-10:30/mile, about 4:30:00 marathon finish pace. Monday 12-16: 2.1 miles, 21:51 I waited until after work to get my #RWRunStreak workout done, and I was really curious to see how I would feel on “the day after”; I surprised myself by extending the planned single mile to two, because I felt really good! Tuesday 12-17: Resistance run – 6.4 miles in ankle-high grass, 1:09:53 I revived an old route with a new purpose for this workout. My street dead-ends at a toll road, with a wide grassy verge for several miles. The county mows this occasionally, transforming it from a waving sea of grass into a stubbly field of…well, shorter grass. I used to run right along the retaining wall, where it’s mostly dirt and gravel, because it was easier there; but today I chose to run in the thickest parts, where I had to pick up my feet a bit more and push through the fresh-cut debris. It was an awesome combination of high resistance and low impact, perfect for my needs! And the trail shoes performed brilliantly! Wednesday 12-18: Walked 1.05 miles, 21:07 Another day where I am grateful to be participating in the streak challenge, because otherwise I would have skipped a workout completely. As an added bonus, I talked my wife into going with me! She is adamantly NOT a runner (her favorite line: “I will run only if there are zombies chasing me, and then only until I can trip somebody!”) but she does support me whole-heartedly, so it was nice to take her on a tour of my usual around-the-block one mile running loop. We went at her pace, but it wasn’t about running, it was about being together…and isn’t that what’s really important? Thursday 12-19: Shakeout run, 3.54 miles, 39:25 I had intended this to be a much more intense workout, with 6 miles of overpass repeats sandwiched between some steady miles…but alas, ’twas not to be; I had been having some stomach issues all day, and I was distracted mentally by other issues. Sometimes I can lose myself in the run, and leave the day behind; but sometimes the day will not go quietly into that good night, and this was one of those. I settled for a plodding 5k and a resolve to clear my mind for the next time. Friday 12-20: Walked 1.02 miles, 5:27 The office Christmas party came today, and as always the food was most excellent. We have some championship-quality barbecue chefs in our organization, and they out-did themselves: spoon-tender brisket; ribs sliding off the bone onto the plate; spicy venison sausage links; there were all the standard side dishes, and a table filled with pies, cakes, and tarts, and I ate myself into a stupor! Somehow I made it home and collapsed into a food coma nap for most of the afternoon. When I woke up, I knew actual running was out of the question, so I power-walked my mile for the streak; as long as I break a sweat and keep my heart rate above 100, that is good enough for me. Saturday 12-21: Maintenance, 5.05 miles, 49:21 Houston’s weather is living up to its erratic reputation today – after days of 70 degree highs, there are two different fronts moving through the area, bringing rain in the morning, high winds in the afternoon, and falling temps overnight; we won’t see snow for Christmas, but it will feel much more like winter and less like late spring by the time the holiday gets here! I got my run in during one of the lulls…it was wet, sticky and breezy; I can only wonder what I will encounter tomorrow for my next attempt at a distance PR of 18 miles – on the trails, at that! No matter what, I’ll be out there… You can either make excuses, or you can make progress. In other news, I made positive steps toward two of my goals for 2014: first, I registered with USATF and got my number, listing Houston Area Trail Runners as my club; now, whenever I compete with them, the club gets points for my efforts. This was the first step on my path to being a trail/ultra athlete; next up is to register for the 25K at Bandera on Jan 11; hopefully I can afford that before it fills up, because I am NOT ready to do a 50K, especially one week before my first 26.2! Second, I signed up for Jill Conyers’ 14 in 2014 Challenge (see the pretty new badge on the sidebar?) This adds another layer of accountability, which cannot be anything but helpful as I progress through the year. There is still plenty of time to join in, why not push yourself to get out there and do it? What challenges have do done in the past, or are doing right now? Did it make a difference in how you approached running/training? Sunday 12-8: 1:02:45, 6 miles As I posted last week, I participated in the #runchat Holiday to Holiday Scavenger Hunt; this run was planned and designed around getting the last item on my list – a picture of a local coffee shop. I am a creature of convenience in many things, and that means coffee too – if I want a cup while I’m out, I’ll stop at the Starbucks closest to wherever I am. But this place is a destination unto itself: a coffeehouse with picnic tables on the side; and craft beers, and wine by the glass if you’re after something more…relaxing, shall we say :). As a bonus, I “discovered” a new city park, with access to an extensive hike-and-bike path I had never run on before! 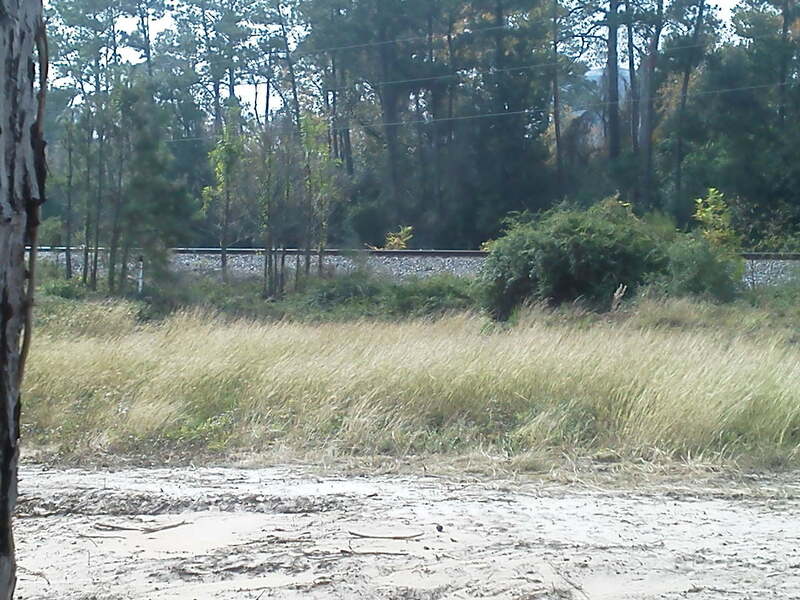 I’ll be headed back there tomorrow to explore some more as I log a 15-mile long run – gotta build that distance! Monday 12-9: Walked 1.04 miles in 17:00 A mild rain was falling, but I had already spent the whole day working in it, so walking my daily #RWRunStreak mile was no challenge. I’m so glad I committed to this streak – one more reason not to accept excuses! Tuesday 12-10: Hill repeats: 2.5 mi easy run warm-up; 4x [over the hill and back @ 0.75 mi ea]; 0.5 mi cool-down; 6.15 miles, 1:03:13 Since I am not doing the TM anymore, I wanted something challenging so I re-visited my favorite overpass. I thought it interesting that my pace on the hill was the same as it was on my warm-up before the hill…the intensity was greater, and that’s the point, right? Getting stronger is what I’m all about these days. Wednesday 12-11: Shakeout run, 3.05 miles, 30:43 (10:05/mi) Still not making any effort to cross-train; I guess I have mentally filed that away for after the marathon, since I have modified my goal from 4:00:00 finish to strong finish. I have committed to joining a CrossFit box at the end of January, because I know I do not currently have the upper-body strength necessary to complete a Spartan race, especially after watching it on TV last weekend – did you watch it? I was kind of disappointed, because I was expecting to see more than just selected highlights of the elites – but that’s network TV for you. Thursday 12-12: 1 mile, 10:50 A terrible, hectic day that got completely away from me – I took off from the house in the jeans and sweatshirt I wore to work, wearing my worn-out Ride 4’s, intending to just walk a mile for the streak; half a block away I started running, because walking just wasn’t gonna do it for me – pretty clear sign that I am a runner! Friday 12-13: 5.02 miles, 50:39 (10:05/mi) After working my 8-hour day, and then spending another 4 hours doing errands (mostly sitting in rush-hour traffic) I needed to get out and run to get my mind and body right. It was raining, cold, and dark; I set off to knock out a quick 3 miles, but once I warmed up, I started enjoying the rain; I got into the zone and just kept going! I finally headed home because I had not eaten yet, otherwise I’m not sure how long I might have kept going! Saturday 12-14: Trail running: one lap, 4.39 miles, 1:01:12 Today was the one-year anniversary of the Houston Area Trail Runners, so there were more people than usual this morning. I had an appointment at 8:00, but I wanted to be there for the “event”, so I did the first loop and then left. What I didn’t know is that they had a gorgeous cake to celebrate with – but only after the second loop 😦 I might have been late to my meeting if I had known about cake! Oh well, we are having lunch tomorrow, so I will definitely be there for the whole thing – food seems to be a prime motivator for me, do you ever experience that? I am grateful for the period of inactivity – I think I had lost some perspective, I now I appear to be back on the right path…who knew injuries could be good for you? Have you ever gone through an injury that forced you to re-examine your goals? My Holiday Hunting is Complete! One of my favorite aspects of being a blogger is the interaction I have with the online community; whether it be discovering some of the endless variety of viewpoints expressed by other bloggers; or building relationships by trading comments on my posts and those of others; or joining different groups on Facebook; or by taking part in some interesting activities within specific platforms, such as you find on Twitter; there is ALWAYS something fun to do, and someone to learn from and share what I have learned. 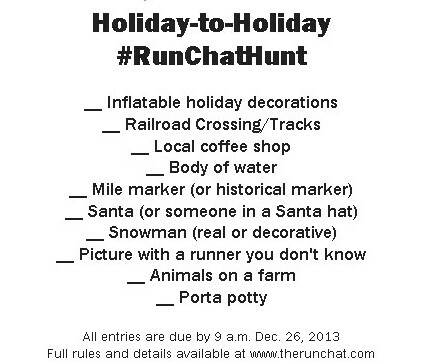 A particular favorite has been the #runchat Scavenger Hunts – I am a huge fan of scavenger hunts; I have attended hunt-themed birthday parties, took part in several during my college years (including a phony event staged to cover up some “alleged” campus vandalism that may or may not have actually occurred), and now a virtual hunt with thousands of players…who wouldn’t be excited? This list was created by tabulating votes on items submitted by the participants…in other words, we did this to ourselves! Some of these are readily available, common things every runner sees while logging their miles; others presented a bit of a challenge – I will admit, some of these required creative thinking, and I had to create a few new running routes to acquire them, since one of the prerequisites of the challenge is you have to take the picture while you are on a run…no fair driving by something and snapping a shot! It’s no accident that Houston is known as “The Bayou City” – we are criss-crossed with waterways. 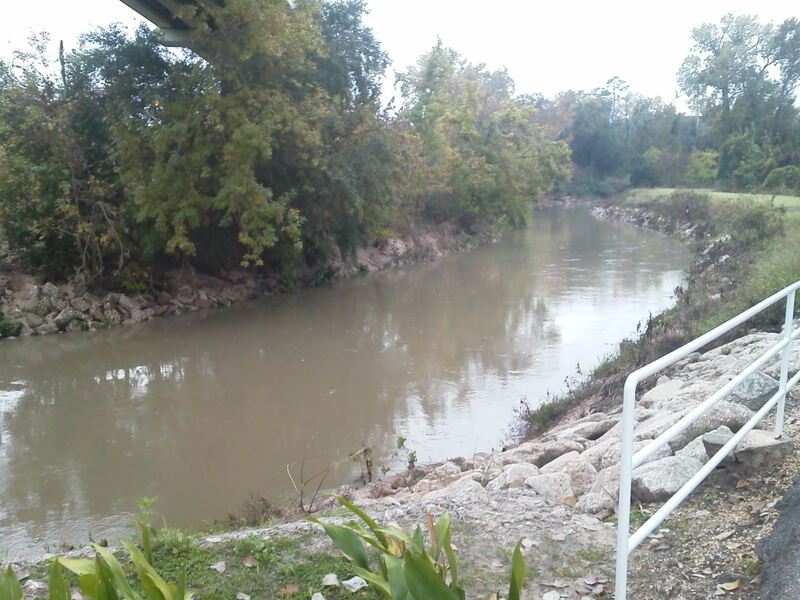 Here we see Buffalo Bayou early in its course, out on the west end of the city. I captured this shot while running 12 miles on the Tour de Hershey run last weekend with The Houston Striders, my road running club. Same day as the previous picture. I had finished my run and was hanging out with the others, waiting for the 18-milers to complete their run. This very nice woman and her friend were just passing by, minding their own business, when some guy (me) approached them, explained briefly about this crazy online scavenger hunt, and got them to agree to take this for me – runners are pretty friendly when you give them a chance! 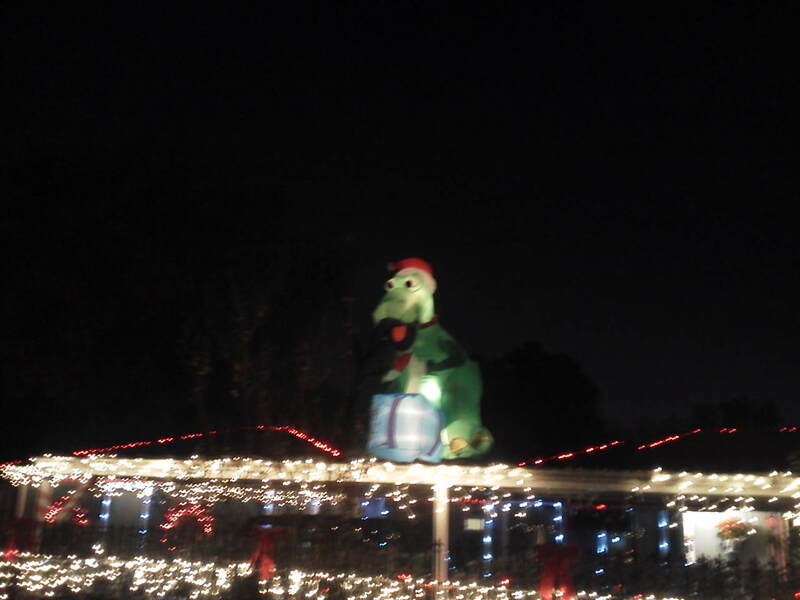 I had considered using Dino up there for the Santa hat entry, but once I saw these two standing on the other side of the same yard, I just had to bow to circumstance – some things are too good to pass up! 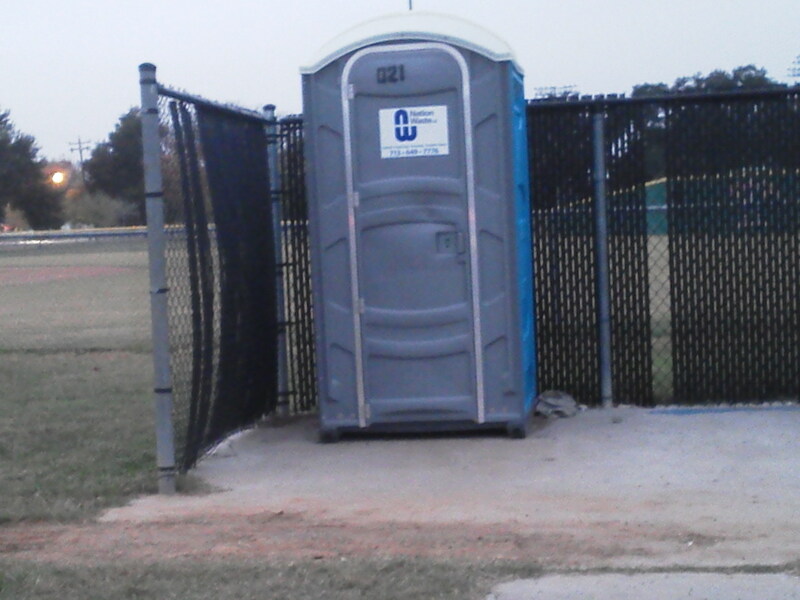 I had a couple of options for this item, because I do hill repeats on a railroad overpass a few times a month; but lately I have been running the trails at Memorial Park, and this line runs at the far end of the trails, so when I came out and saw it, I jumped at the chance – all that trail work has me in no big hurry to run the hill any time soon! I took a liberal interpretation with this one, and shot a picture of a trail marker instead – perhaps the caption that someone has added (Jesus Rocks!) was what inspired me…because He does rock, indeed! 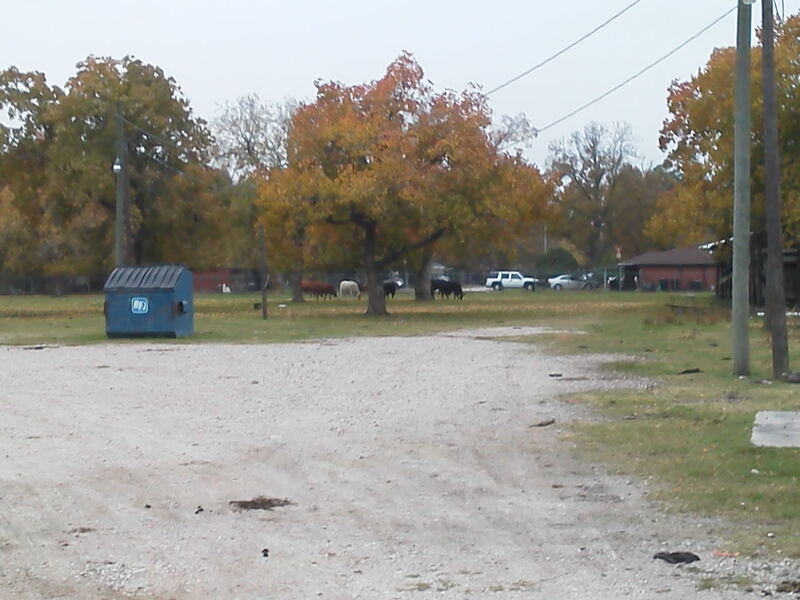 One of my usual running routes is at a city park, only 1.5 miles away from this farm, so I added an out-and-back leg to my normal run just to get this shot – and to get some decent distance in as well! Found this one in the same park where I began and ended the run mentioned in the last item – nothing like making the most of every moment! We runners have a complicated relationship with these semi-outdoor facilities – we hate to need them, but we can’t live without them. Well, maybe we could, but the general public would not be nearly as understanding; and who wants to deal with more, uh… issues than we already do? I was kind of stumped on this item, because I tend to stick to the freeways, and get my coffee where it’s convenient – and then I remembered…a friend of mine turned me on to this place about six months ago; it is a far cry from Starbucks, let me tell you! 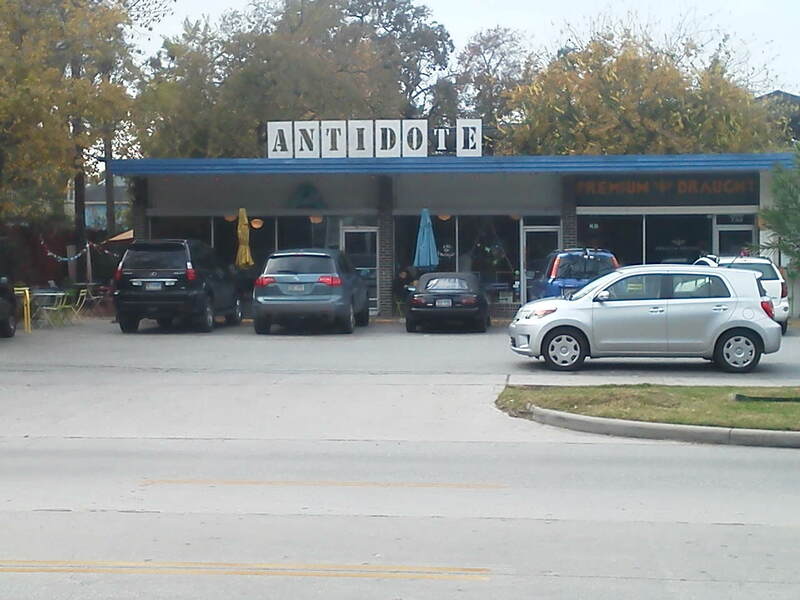 Located in the heart of the Heights neighborhood, Antidote is a one-of-a-kind place: picnic tables on the side of the building, a variety of pastries to go with your espresso or latte; and if you need something with more kick to it, a nice selection of craft beers, in bottles or on tap, and wine by the glass at very reasonable prices; whatever ails you, they have a cure 🙂 Again, I had to create a running route to get the shot, but in the process I discovered another really nice city park with access to several miles of hike-and-bike paths; if you get bored running in this city, you just aren’t trying very hard! 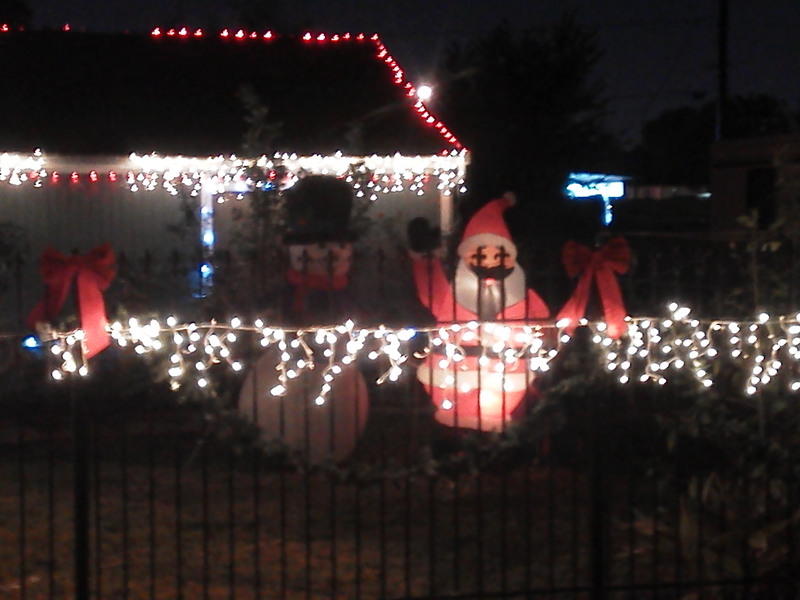 So there you have it: my 2013 Holiday-to-Holiday #runchathunt in all its fullness. I hope you have found some inspiration to get out there, chart some runs, take some pictures, and get in on the fun – the contest runs until 9am on Dec 26, so there is still plenty of time to get your entries in! And, as a bonus entry, you too can post a blog about your hunt…I hope you do, I would love to see it! 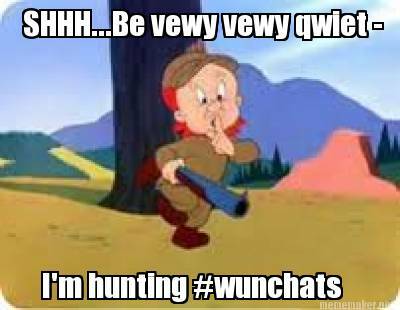 You can see other runners’ entries by searching #runchathunt on Twitter or Instagram – some of the stuff others have posted is hilarious! Do you ever participate in social media events? How about scavenger hunts, real or virtual? Sunday 12-1: Long run – 150-160 min @ 9:18/mi, 16-17 mi // 2:08:13, 12 miles My road running club, the Houston Striders, hosts several group runs throughout the year, especially during the lead-up to the marathon, and this was one of them: the “Tour de Hershey”, named for the county park where the event is held. Runners can choose either 6, 12 or 18 miles, and enjoy a fully supported training run with clock timing, aid stations, a bike-riding first aid official, and a nice after party. I opted for the 12, got it completed, and had a really great day! My knees were a bit sore, but nothing compared to what I was feeling before my layoff, and by the end of the day all was well! Monday 12-2: Rest day // Walked 1.3 miles in 23:21 A double accomplishment – logged my workout for the streak, AND took my new trail shoes out for a test! 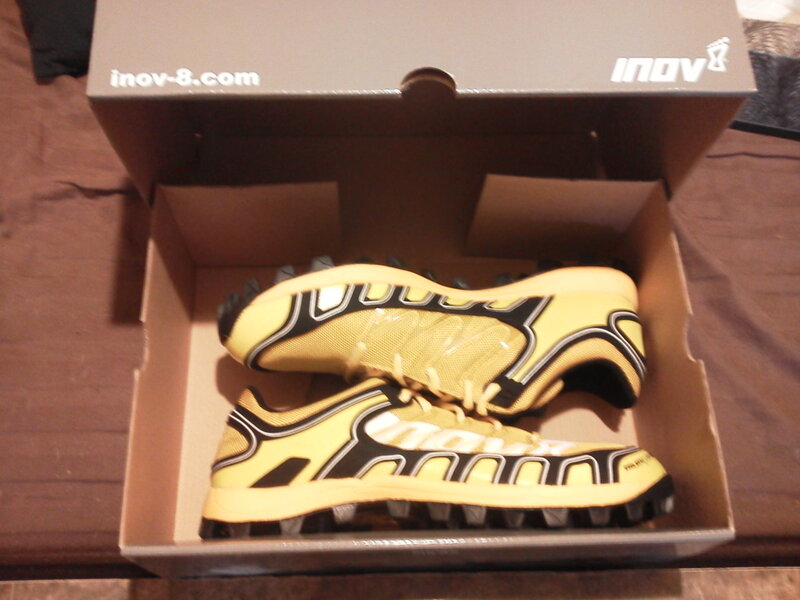 Inov-8 is sponsoring me for at least one Spartan Race in 2014, and part of the deal is a pair of their shoes. I selected the Mudclaw 300’s, and so far I am in love. 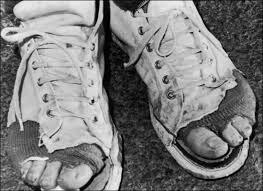 Be looking for a review once I get a few miles on them! Tuesday 12-3: Paces – 1.75 mi easy run warm-up; 6x [0.25 mi @ 7:20/mi, 1:30 recovery]; 1.5 mi easy run cool down // 3 miles, 28:18 (9:24/mi) One decision I have made is to discontinue treadmill workouts, because it seems to me that the restrictive, repetitive action of running on the belt is more stress than my knees can handle; the pain comes on within just a few miles, and lasts for days, while outdoor runs do not cause nearly as much soreness, and that goes away within a few hours. After consulting with my coach, we have decided that I will be doing these workouts on a measured distance and using the feedback from my Nike+ app at quarter-mile intervals to check how well I can maintain the proper pace. In truth, I am not as concerned with pace as I was before, at least for this marathon – I am more interested in being sure that I finish the full distance…speed can come later, if it ever does. Thursday 12-5: Maintenance – 65-70 min @ 9:18/mi, 7-8 mi // 1:00:56, 6.05 miles (10:04/mi) I set out with the goal to run one hour, just to see how far I could go; I also selected a route specifically that would take me past the local high school’s FFA farm, so I could get my “farm animal” picture for the #runchat Scavenger Hunt – I only need one more to complete it, and I will get that one tomorrow! You can see all of them if you follow me on Twitter or Instagram; search #runchathunt to see what I (and everyone else) have posted. Friday 12-6: Threshold – 1.75 mi easy run warm-up; 2x [2 mi @ 8:16/mi, 2:00 recovery]; 1.5 mi easy run cool-down // walked 2.3 miles in 40 min I decided to make this a rest day, because of the upcoming trail race on Saturday, so I took a scouting trip through the trails, checking the marking to make sure I wouldn’t get lost (I am not terribly familiar with these trails yet) and to log some distance for my streak. It feels fantastic to be running again, and I have learned my lesson about ignoring what my body says it can do – and learned the difference between uncomfortable and potential injury. I am increasingly confident that I can go the distance in January, and I am more and more looking forward to what next year will bring. How are you doing with your current “goal races”? What is already on the list for 2014, or what do you want to add?